One year ago today, Larry and Carri Williams were found guilty for the death of their adopted Ethiopian daughter, Hana Alemu, and for assault of their adopted Ethiopian son, Immanuel. Yesterday, I visited Hana’s grave site in Union Cemetery in Sedro-Woolley, Washington. I knew I was going to write about her today, and though I am not a big fan of graves and cemeteries, I wanted to pay my respects. I left on the grave a tiny token purchased during my recent trip to Ethiopia, and told Hana she was not forgotten. The Williams’ family did not place a gravestone of any sort on Hana’s burial place until after the trial had concluded, so some 2 years after she had died this marker was installed. 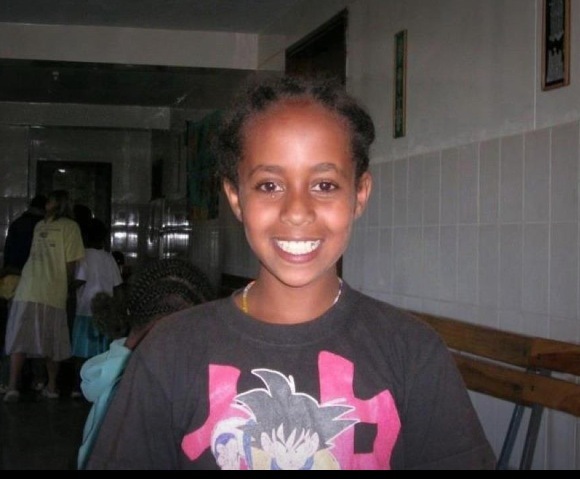 It shows Hana’s birth year as 1994, which would make her over 16 at the time of her death, not 13, which was what her age was said to be by the adoption agency and possibly Ethiopian family records. The Williamses were charged with homicide by abuse, which requires children to be younger than 16 and carries a significant punishment. They argued during the trial that Hana was not 13 at the time of her death, but was older. The jury did not believe Hana was older than 16 when she died, and Carri Williams was found guilty of homicide by abuse. This grave marker suggests that Hana was 16, not 13, at the time of her death, though the Williamses never legally changed Hana’s age during her life. Hana’s grave at Union Cemetery. Photo taken September 8, 2014. During the hour or so drive from and back to Seattle, I thought about what Hana and Immanuel might have been thinking as they went from SeaTac Airport to their new family, in August 2008. The view along the highway would have been so different from what they may have seen in Ethiopia. Instead of RV dealerships and fast food restaurants, in Ethiopia there are children along the roadside herding goats and cows, women washing clothes in muddy rain puddles, and men hauling loads on donkey-driven carts. Instead of towering pines, in Ethiopia Hana would have seen acacia trees. She must have been a bit overwhelmed by the beauty of the Pacific Northwest, along with the malls, businesses, and restaurants. This was her new life, with the promise of a family, safety, and love. The view along I-5, heading north from Seattle. Less than 3 years after her arrival in the US, Hana died from malnutrition and hypothermia on May 12, 2011, at the hands of the adoptive parents who were supposed to love and protect her. Those same parents were also found guilty of assault of Immanuel. On October 29 last year, Larry was sentenced to just over 28 years in jail, and Carri to 36 years. They are currently serving their sentences in Washington state. You can watch Judge Susan Cook’s sentencing of the Williamses here. Next week, in Pennsylvania, Judge Jeffrey Manning will be sentencing another pair of adoptive parents of Ethiopian children. Douglas and Kristen Barbour, unlike the Williamses, chose not to have a jury trial and instead pled no contest in June to charges of child abuse and endangerment. Their two adopted children were removed from them by the state as a result of lesions, weight loss, hypothermia, healing fractures, and retinal hemorrhaging. Are these 2 cases comparable? Both families already had biological children when they adopted 2 Ethiopian children. Both families have a stay-at-home mom and a working- outside-the-home dad. Both practice Christianity. According to a Post-Gazette article, Douglas Barbour wrote about Biblical motivations for adoption. 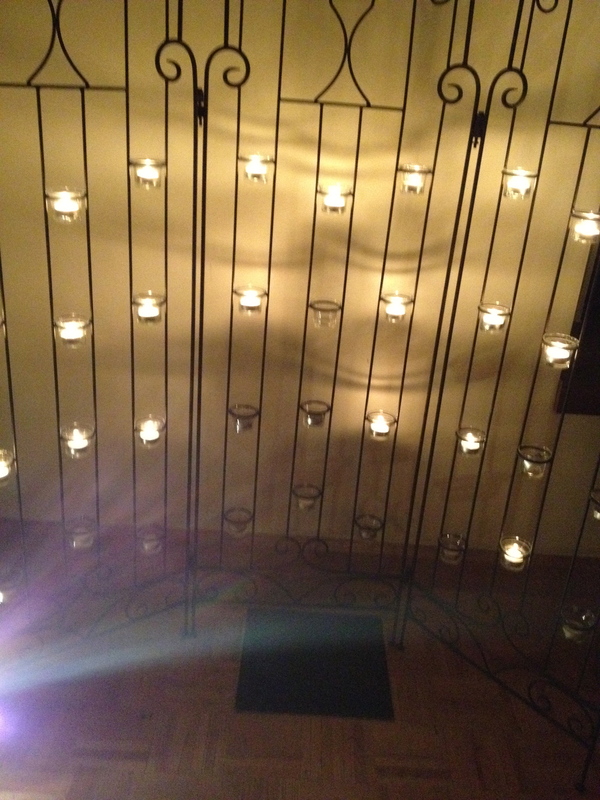 Kristen Barbour wrote openly about her faith on a now defunct blog. In both families, the adopted children had eating and other issues common in older child international adoptions. In both cases, the families did not appear to have sought help, and instead relied on their own methods. In both cases, there were no charges of abuse regarding the bio children, only the adopted children. In both cases, the bio children witnessed their parents’ treatment of their adopted siblings. Both cases have a child’s significant weight loss and hypothermia as factors of abuse. Both families appeared to have had a perfect storm of unrealistic expectations for children who have experienced trauma, and both appeared to have handled the adopted children with systematically increased punishments that did not achieve the intended results. In both cases, young children were grievously harmed. I don’t mean to be facetious when I say at least in the Barbours’ case, both children are still alive. I have heard that Immanuel Williams and the Barbour children have all done well in their foster homes. In the case of the Barbour children and Immanuel, it is safe to say these children have been harmed, abused, and endangered significantly, at the hands of the very people who were supposed to care for and protect them. The children have a long road of recovery ahead of them; they were innocent victims of people who they should have been able to trust. They have physical and emotional injuries that are serious and will affect them for their entire lives, injuries that never should happen to any little child. Judge Cook, in sentencing Larry and Carri Williams, asked “What does justice require?” She talked about the materials the attorneys had given her about imposition of sentences, and said they had left one important part out. “The sentence needs to reflect society’s response to the conduct that the defendants engaged in.” In this case of the Williamses, she said, the sentence could be seen as an expression of society’s outrage about two children being horribly harmed. I am hopeful that Judge Manning will also take the seriously the significant harm done to the two Barbour children. It is an outrage that children could be so deeply hurt by adults, and the offenses of abuse and endangerment deserve appropriate punishment–not probation. The children have to live the rest of their lives with the impact of what their adoptive parents did to them. I hope that the judge sees that clearly. There is still time to send a message about fairness for these young adoptees. I wrote about why this is so important here. May Hana rest in peace. May all children be safe and loved. May we all speak up for the children. That romantic view is pervasive and powerful, one that puts a burden on adoptive families and adopted children. It allows, even encourages, parents to embrace unreasonable expectations, and then pass them, unfairly, on to the child. What happens when the child does not and cannot meet the romantic image? Two unromantic realities that some adopted children deal with are (1) hoarding and stealing food and (2) difficulty with appropriate bathroom behaviors. These behaviors can be very frustrating to adoptive parents, especially those who have raised bio children, and who are used to setting limits and being obeyed. Hoarding food, overeating, and stealing food are common behaviors for adopted children, at least early on after their arrival in a home with plenty of food. Hoarding food can give a sense of control to a child, a back-up in case the food disappears again. We might look at hoarding as survival skills for children who have, in their short lives, been deprived of food, been painfully hungry, or have been forced to compete or struggle for food. Or we can see it as defiant and selfish. This was true for Hana and Immanuel Williams, and apparently for the two Barbour children: Allegations of hoarding and stealing food are part of these child abuse cases, and the children were viewed as rebellious. In the case of Hana and Immanuel, the parents did not seek help; in the case of the Barbours, they ignored it. In both families, the children were abused and endangered. For unprepared adoptive parents, the hoarding and overeating behavior can seem insolent and pointless. Maybe the adopted child snatches food from the bio child. Maybe the adopted child continues to steal snacks and perishable foods (sticks of butter, grapes, cheese, hot dogs) and stuff them in between mattresses or in coat pockets–even though he’s been told repeatedly not to, or has been punished severely. Restricting food, as Kristen Barbour apparently did for the 6-year-old boy, and as Carri Williams did for Hana and Immanuel, is often an unsuccessful approach. Hana died from malnourishment and hypothermia. The Barbour boy was diagnosed with malnutrition and possible hypothermia as his body temperature was 93.6 when he was admitted to the hospital and removed from his adoptive home. Food issues are challenging in our society, and we often don’t like to talk about them. They can be huge in adoption. A child who hoards and steals food, who overeats compulsively, who constantly asks for food even when he’s likely not really hungry–it’s not attractive behavior. Even harder to talk about and even less attractive are toileting issues. Toilet training is a major obsession and developmental issue for us as parents, never mind for the children. They can be enormous issues for adopted children, since peeing and pooping are self-regulatory processes that are affected by emotions, fear, trauma, genetics, a need to control an unsettling situation, and medical conditions. And we don’t like talking about any of it, so too many people, including children, suffer alone. The Barbour boy had lesions on his skin because he’d been made to stay in urine-soaked clothing. Immanuel Williams was sprayed with a garden hose, and made to sleep on the floor of a shower room, because he peed on himself. Children often regress in toilet training when there is trauma in their life. Some children forget to take time to pee until it’s too late; some children hold poop in until it’s dangerous to their health. Boys take longer than girls generally to master the art of toileting. Did you know that some children who have been sexually abused defecate in their beds to keep predators away? As a society, we generally don’t like to talk about urine and feces. As adoptive parents, we like to think that we can get these long-hoped-for, finally-arrived-home children to behave nicely and politely and appropriately. We want to be the Hallmark card. That can be an absurd expectation, at least early on and sometimes years after placement in an adoptive home, especially for children who may well have experienced trauma. Let’s do a much better job preparing prospective parents for the scary things, many of which may not happen–but could. Let’s celebrate the joy of becoming a family by understanding that the child had and lost another family before this one, something that can create a trauma even for infants, and let’s be open to the child’s needs. Let’s emphasize the benefits of flexibility in handling children’s behaviors, and decrease the element of shame in seeking help. Let’s stop romanticizing adoption, and Hallmarking adopted children and their adoptive parents. Let’s build families in a positive, healthy, and realistic way. You can find information about adoption and hoarding food here and here, and information about adoption and toileting issues here and here, as well as many other places on the Internet and elsewhere. Finding information and community is key. There are plenty of solutions and approaches to hoarding and toileting that don’t involve abuse. My post “Does “Adoption” Really Equal “Trauma”? may be of interest as well. This morning (October 29, 2013) at 9:30 am pdt, at the Skagit County Courthouse in Mount Vernon, WA, Judge Susan Cook presided over the sentencing hearing of Larry Williams, convicted of manslaughter (of adopted Ethiopian daughter Hana) and assault of a child (of adopted Ethiopian son Immanuel), and of Carri Williams, convicted of homicide by abuse (of Hana), manslaughter (of Hana), and assault of a child (Immanuel). Larry and Carri both were in the Skagit County red prison uniforms. As would be expected, the attorneys for both defense and prosecution had various arguments and motions. Larry’s attorneys began by arguing for a new trial; the judge denied the motions. The judge vacated (dropped) Carri’s manslaughter conviction, because she was also convicted of a more serious offense, homicide by abuse, for the same conduct. The prosecution asked for 333 months, or 27 3/4 years, of jail time for Larry Williams. The defense attorneys asked for 5 years, saying that Larry is ashamed for what he did, and that he has been punished enough. The prosecution asked for 443 months (about 37 years) of jail time for Carri Williams. The defense recommended 333 months (about 28 years) for Carri, saying she is not a danger to the community. Larry Williams wanted to speak on his own behalf, but the motion was denied. The judge sentenced Larry to a sentence of 333 months. That is a surprisingly long sentence. The judge signed the judgment and sentence documents in regards to Larry, who was then led away to jail. The Judge sentenced Carri to a sentence of 443 months, the full amount requested by the prosecution. Judge Cook said Carri probably deserved more. Carri was taken away immediately in handcuffs and chains. Carri’s attorneys plan to file an appeal. They asked for bail during the appeal to be lowered to $600,000. The judge denied the motion, and set bail at $1.5 million. 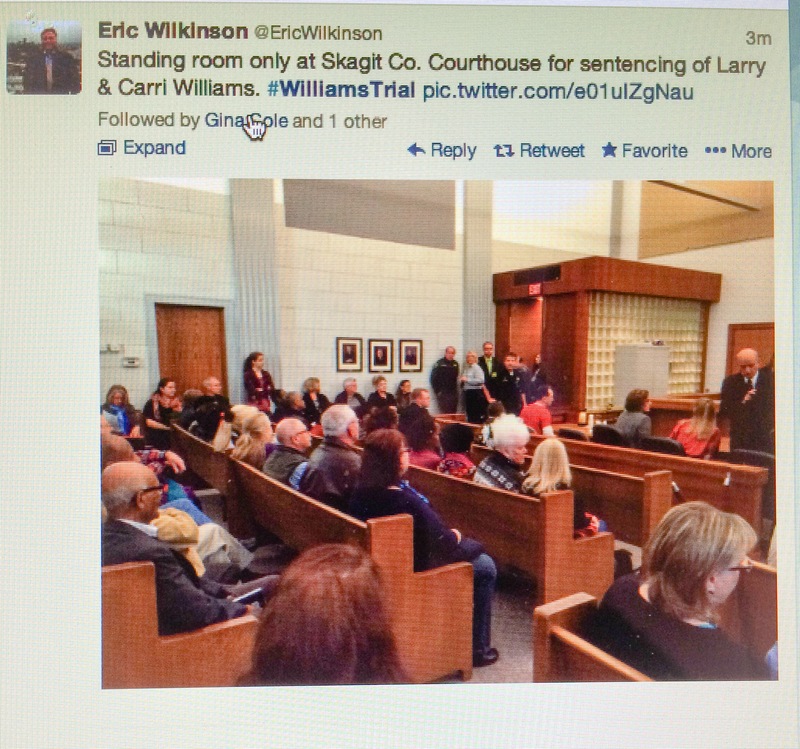 Judge Cook had presided over the trial of Larry and Carri Williams, the longest in the history of Skagit County, Washington state. I have written dozens of posts about the death of Ethiopian adoptee Hana Alemu (Williams) and the assault of Ethiopian adoptee Immanuel, both of whom were placed for adoption with the Williams’ family in 2008. The courtroom was, not surprisingly, packed to overflowing. Gina Cole of the Skagit Valley herald reported that trial jurors were there, as well as Carri Williams’s sister, Immanuel’s foster mother, and some witnesses from the trial. Lee Stoll, a reporter with KIRO7, said that 10 of the 14 jurors were in the jury box to watch the sentencing. Many representatives from the Ethiopian community attended the trial, and many were again present today at the sentencing. The Ethiopian Community Center in Seattle sent an email out saying that they planned to place flowers and candles on Hana’s grave in the Sedro-Woolley cemetery following the sentencing hearing. There will also be a celebration of Hana’s life at the Ethiopian Community Center in Seattle tonight, at 6pm pdt. The address is 8323 Rainier Ave South, Seattle, WA 98118. Phone: 206-325-0304. May Hana rest in peace, never forgotten. Note: Many thanks to Skagit Valley Herald reporter Gina Cole, KING-TV reporter Erik Wilkinson, and KIRO7 TV reporter Lee Stoll for their “real-time” Twitter feeds. Note: My blog post about the sentencing and jail terms is available here at Larry and Carri Williams: Sentenced to Long Jail Times. Larry and Carri Williams are expected to appear in Skagit County Court tomorrow, October 29, at 9:30am Pacific Daylight Time, for sentencing following their convictions in the murder of their Ethiopian adopted daughter Hana, and for the assault of their Ethiopian adopted son Immanuel. The courthouse is expected to be packed, following the longest trial ever in Skagit County, Washington. The jury announced their decision on September 9. Both Larry and Carri were taken immediately to jail that day. Sentencing was originally scheduled for October 8. My guess is that decisions regarding the placements of the Williams’ children needed to be settled prior to sentencing. I believe that their minor children will be placed with relatives. I have heard that parental rights for Immanuel have been terminated, which would mean he could be adopted by another family, but I have no confirmation of that yet. The decision on sentencing is in the hands of Judge Susan Cook, who presided over the trial. The lawyers have been busy preparing documents for the judge to consider in making her decision. Carri Williams was found guilty of homicide by abuse and of manslaughter of Hana. She was also found guilty of first degree assault of Immanuel. Here is a recent Skagit Valley Herald article on Carri Williams’ motion to drop manslaughter charge. My understanding is that the prosecutors will recommend 27 to 37 years in jail for Carri Williams. Here is a Skagit Valley Herald article on Carri Williams’ treatment in jail. Larry Williams was found guilty of manslaughter of Hana and of first degree assault of Immanuel. He has already spent about two years in jail while the case was pending and could get credit for that time. My understanding is that the prosecutors will recommend 14 to 18 years in jail for Larry Williams. Here is a recent Skagit Valley Herald article on Larry Williams’ attorneys motion to dismiss the conviction. Rachel Forde, one of Larry’s Snohomish County public defenders, has been consistent in her strategy for her client. In the course of Larry’s testimony during the trial, he blamed Carri for almost all that happened. The idea: his work schedule (noon to midnight, plus overtime) prevented him from knowing what was going on. The defense motion asks the judge to dismiss the conviction, but my sense is that this is simply an aggressive defense argument, and a very unlikely outcome. Ms. Forde also argues that Larry should receive a sentence of 5 years at most, which is also unlikely. Many folks felt Larry threw Carri under the bus during this trial, and that perspective is in place for sentencing as well. A hefty part of this defense motion included a study of adjustment issues for international adoptees, suggesting that Hana and Immanuel were responsible for the crimes committed against them. A lot of room under that bus, it seems. The tragedy continues. The Skagit Valley Herald articles were all written by reporter Gina Cole, who has covered the trial since the first day of jury selection in July. You can access Gina’s articles on her Facebook page. If you have trouble accessing the Skagit Valley Herald articles because of their limitations, try going to the links through a different browser (Safari, Chrome, etc.). @Gina_SVH This is Gina Cole, the reporter mentioned above. @EricWilkinson He’s a reporter for KING 5 news in Seattle. @LeeStoll She is a reporter for KIRO-TV in Seattle. Follow updates on Twitter at #WilliamsTrial. I have written extensively about this case over the past year, and I wrote about the trial every day that I attended. It’s hard to feel anything but sorrow, even as I believe justice was the outcome of the trial. Folks will be visiting Hana’s grave in the Sedro-Woolley cemetery after the sentencing hearing Tuesday morning, and I hope to get further word about a grave marker/headstone. I will continue to write about Hana’s legacy. May Hana never be forgotten. May Immanuel grow strong and unafraid. May this horror never happen to another child. Just a reminder that the original sentencing date of October 8 for Larry and Carri Williams was changed to October 29. More information is available here: Legal News in Williams’ Trial.